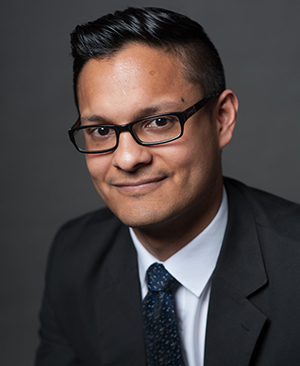 The National Science Foundation (NSF) has recognized Robert Vargas, assistant professor of sociology, with an Early Career Development (CAREER) Award. Vargas is one of 10 Notre Dame faculty members to receive the award in 2017. “We are very proud of our faculty members’ successes in the NSF CAREER award competition, which recognizes the very best early-career educators and researchers nationally,” said Robert J. Bernhard, vice president for research. “Their success is reflective of their outstanding creativity and hard work. It is also a credit to the colleges and departments for their ability to recruit and mentor these talented faculty. Vargas, an urban sociologist whose research focuses on violence and health care, received his CAREER Award for a project titled, “The Evolution of Homicide Hotspots Over the 20th Century: A Three City Study.” To complete the project, he will digitize and geocode homicide data from over a century in order to create new measurements to describe the geographic and temporal dynamics of homicide. Using data from historical archives in Chicago, New Orleans, and San Francisco, Vargas aims to help cities improve network and place-based homicide prevention efforts by identifying the ideal timing and duration for law enforcement and social service interventions. Similarly, identifying events that trigger homicide waves may help cities learn how to anticipate sudden increases in violence. The project will make use of a novel method for sharing its findings with the public. Large maps visualizing change in historical homicide patterns will be displayed in libraries and galleries in each city to spark greater public interest and awareness about homicide and the science of prevention. Vargas, who joined the Department of Sociology in 2016, is also a faculty affiliate in the Institute for Latino Studies at Notre Dame. He recently won the 2017 Outstanding Book Award from the Academy of Criminal Justice Sciences for his first book, Wounded City: Violent Turf Wars in a Chicago Barrio.